Known for its law and banking industries, Richmond is the capital of the Commonwealth of Virginia. Philip Morris USA opened a $350 million research and development facility in the Virginia BioTechnology Research Park in 2007. Once fully developed, park officials expect the site to employ roughly 3,000 scientists, technicians and engineers. The CSD certification in Richmond will help you not just master the principles of Scrum but also help you grasp the finer points of Agile engineering. This workshop will take place over five days and span theoretical and practical aspects of Scrum. The CSD course in Richmond will have two parts. The first part will run for two days and will cover subjects related to Scrum principles, ceremonies, concepts etc. If you have a Scrum credential, then you can attend the three-day CSD Technical Track training that will cover concepts on actual design and code examples. The Certified Scrum Developer training in Richmond will teach you these concepts with the help of practicals. The CSD training in Richmond will be led by certified tutors. Enrol in this CSD certification in Richmond and get free access to the syllabus for 100 days. Another feature of this academy is that you can get a two-year membership in the Scrum Alliance. The course fee of the CSD training in Richmond includes the exam fees as well. 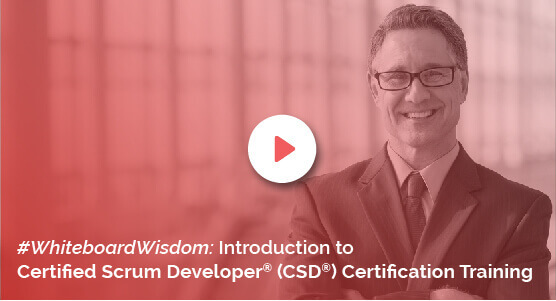 The Certified Scrum Developer certification in Richmond is ideal for those CSM credential holders who are architects, business analysts, developers, QA testers, engineers and product managers. Non-CSM credential holders are recommended to take either the full five-day course or the two-day workshop.